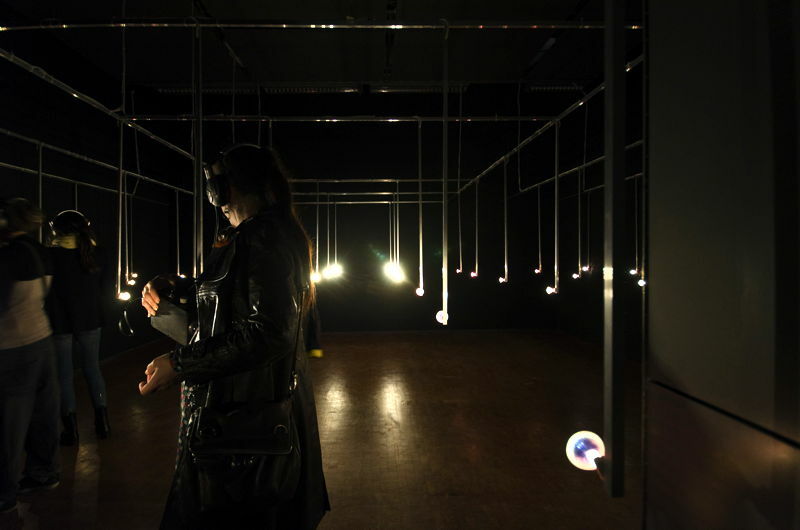 The visitors get a special hand-held device that makes the modulated light audible as sound on a headphone. 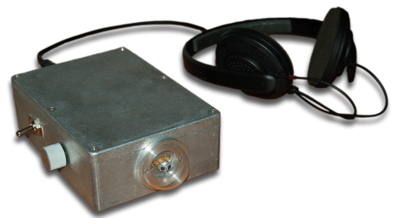 The receiver consists of two light sensors (one for the left ear and one for the right ear), a demodulator part and an amplifier part to drive the headphone. You could call it a light receiver instead of a radio receiver. 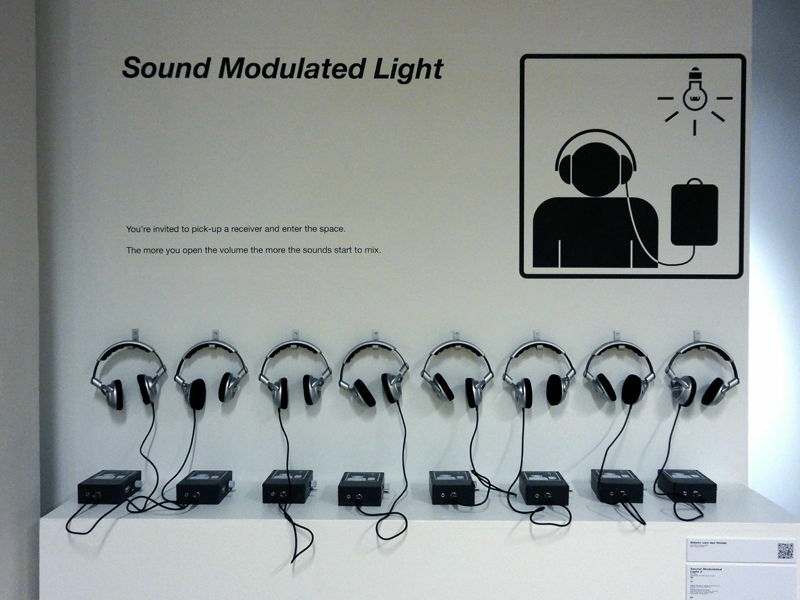 The loudness of the sounds depends on the intensity of the amount of light 'picked up' by the receiver. 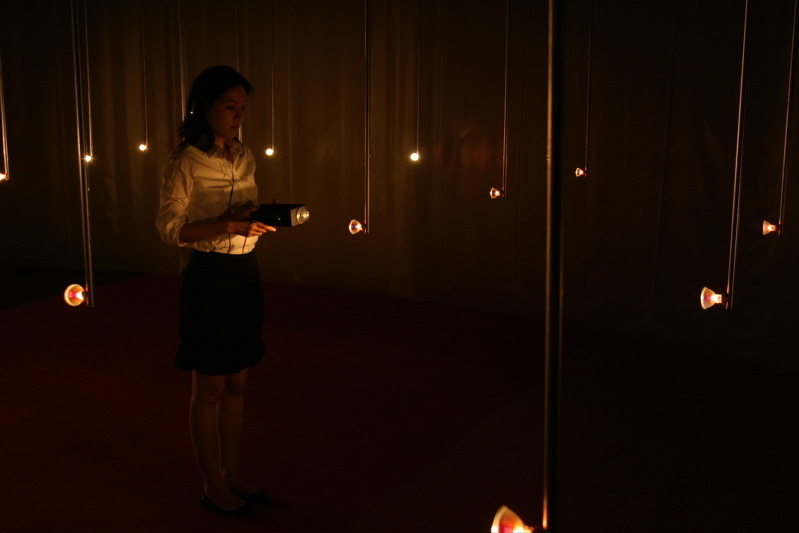 By moving around in the space, and by moving the receiver different combinations of light are falling on the light sensors. 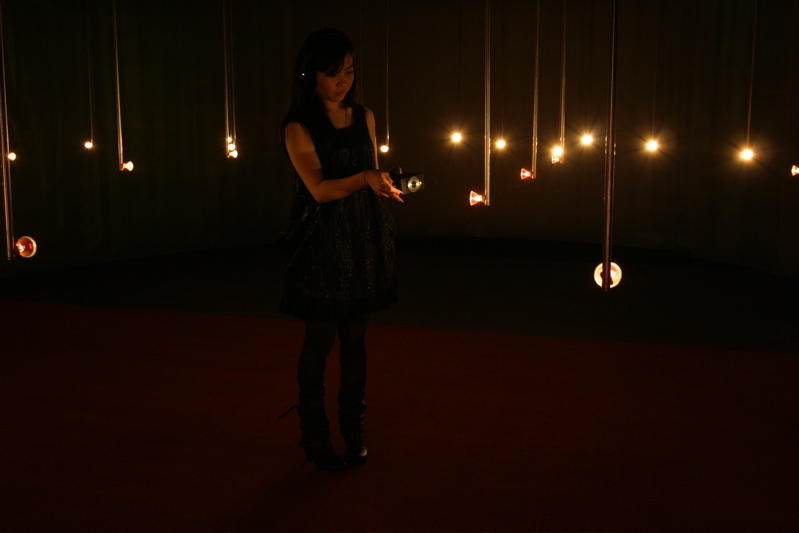 Since every light corresponds to a different track of the composition the audience is (re-)mixing and combining the different tracks of the composition. 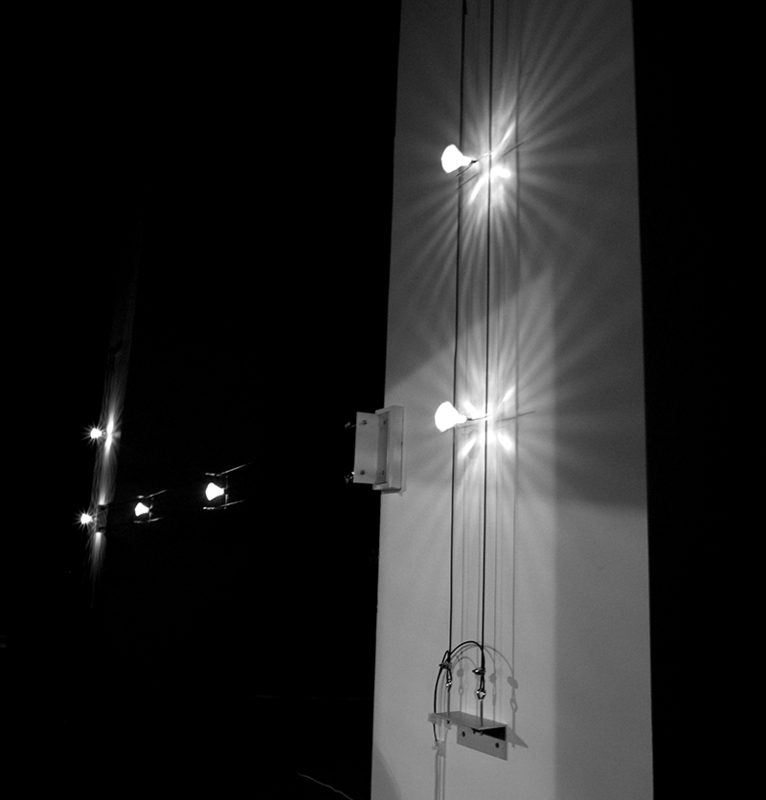 The sound changes according to the movements of the receiver because every light carries a different sound. 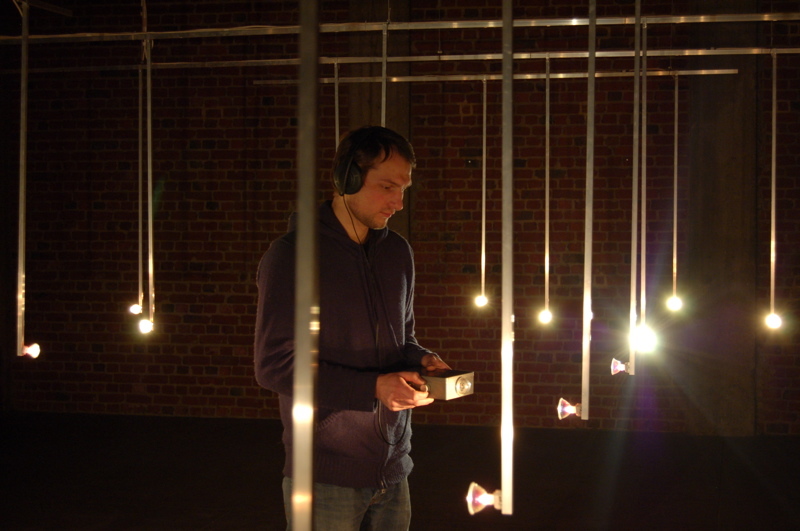 The sound material consists of electronic sounds that slowly transform over time. 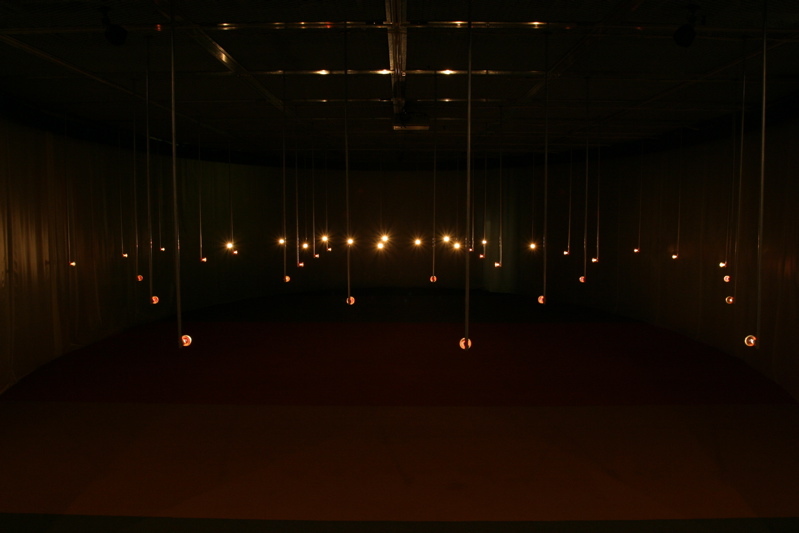 Each track (light bulb) has its own musical development and its own duration. The sounds are composed in such a way that they are meant to be combined. 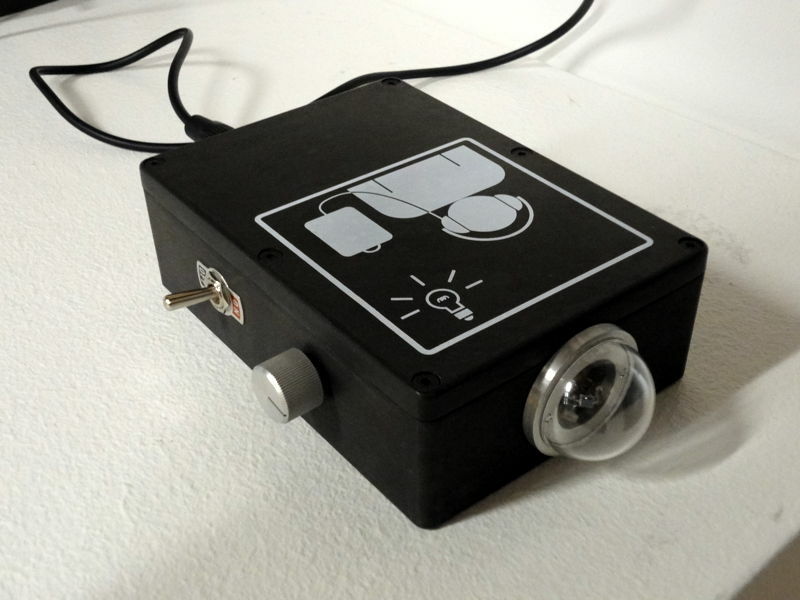 Moving the receiver will result in different combinations of the composed sounds and gives an interesting level of control to the visitors. 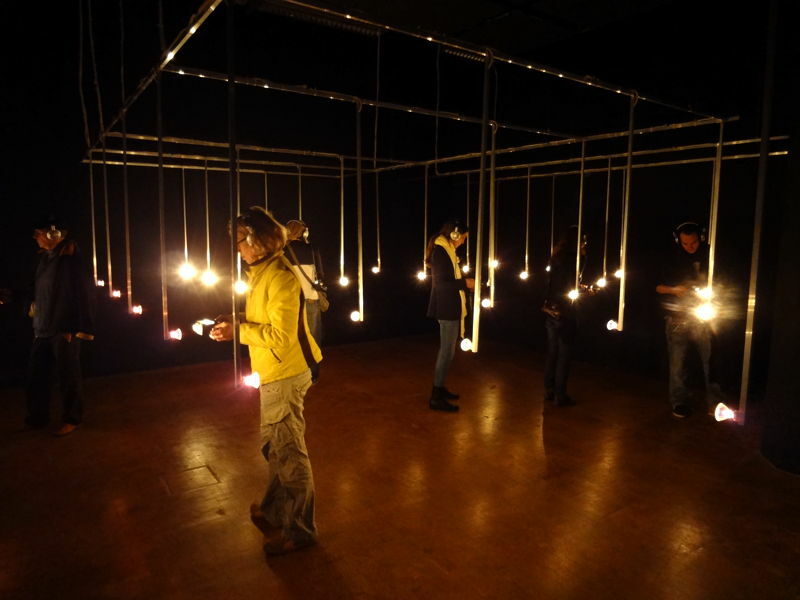 Sound Modulated Light is a participative environment in which the visitors are invited to explore and interact with the space.